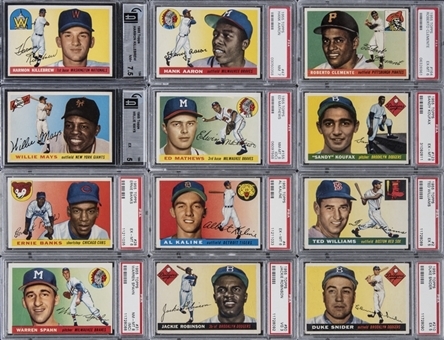 Presented is a 206-card complete set of 1955 Topps baseball cards. 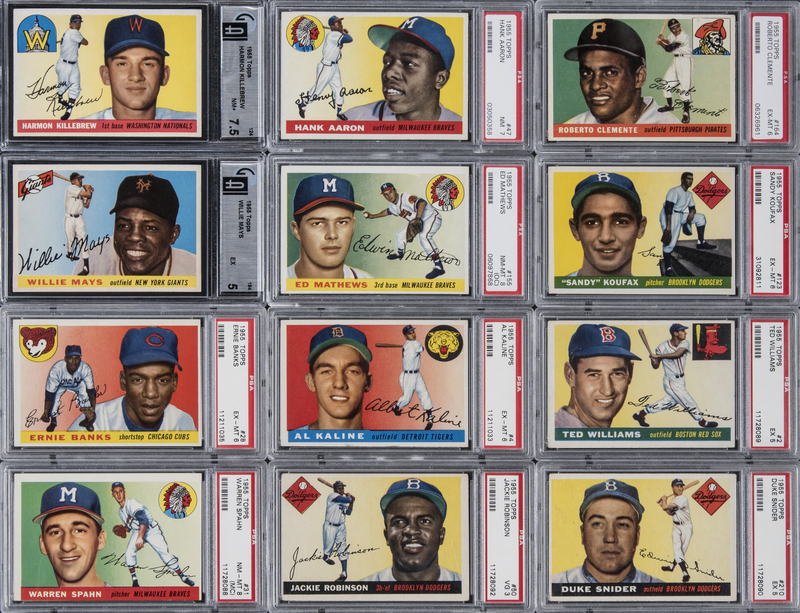 This mid-grade offering is highlighted by the rookie cards of Roberto Clemente, Harmon Killebrew and Sandy Koufax, as well as the second-year cards of Hank Aaron, Ernie Banks and Al Kaline. 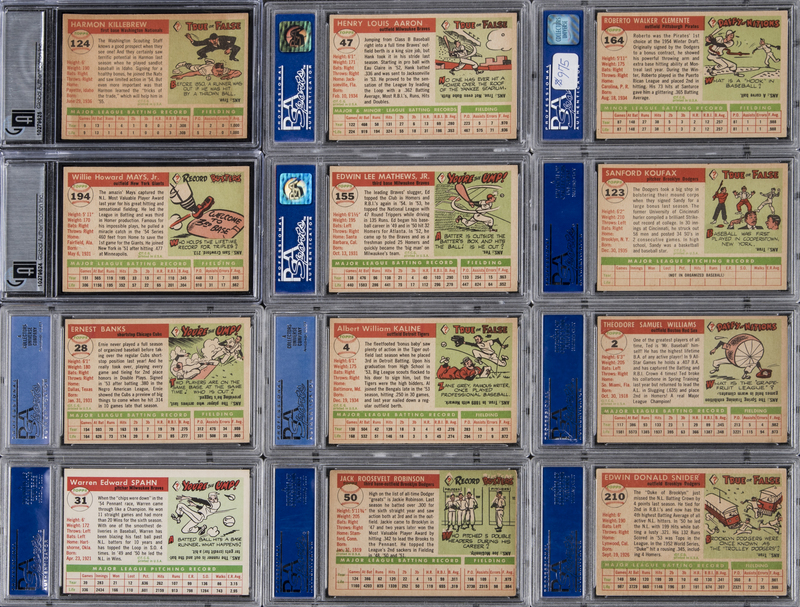 In total, 19 cards have been graded by GAI or PSA. 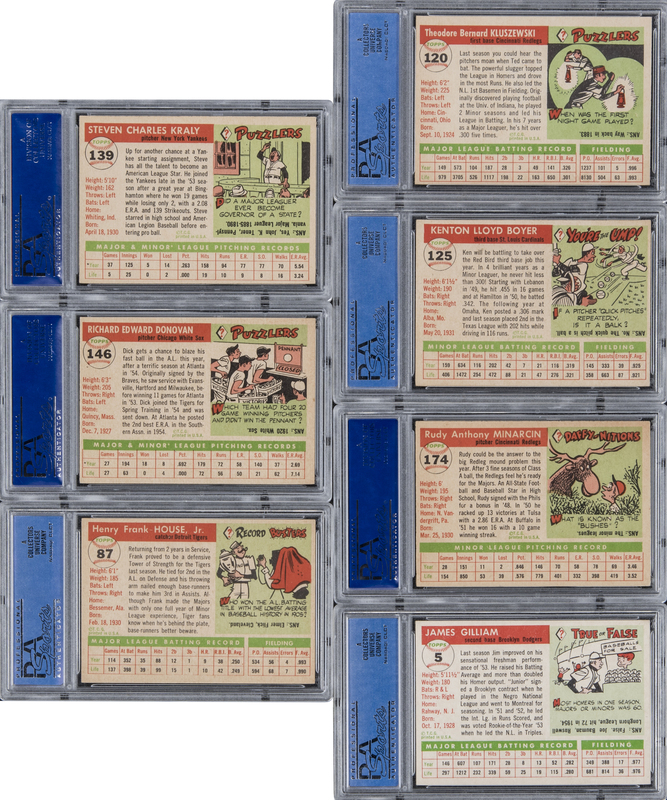 Includes: Graded Cards - Graded PSA NM-MT 8: 2 cards w/#'s 31 Spahn (MC) and 155 Mathews (OC); GAI NM+ 7.5: 1 card, #124 Killebrew; PSA NM 7: 3 cards w/#'s 47 Aaron, 139 and 146; PSA EX-MT 6: 8 cards w/#'s 4 Kaline, 28 Banks, 87, 120 Kluszewski, 123 Koufax, 125 Boyer (OC), 164 Clemente and 174; GAI EX 5: 1 card, #194 Mays; PSA EX 5: 3 cards w/#'s 2 Williams, 5 and 210 Snider; PSA VG 3: 1 card, #50 Robinson. 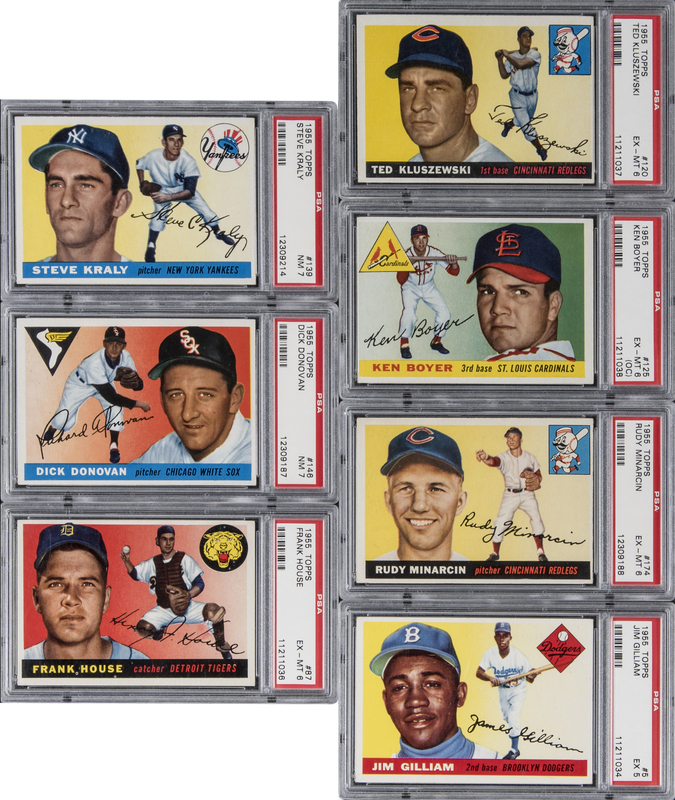 Ungraded Cards - Highlights include: #'s 187 Hodges (EX/MT), 189 Rizzuto (EX) and 198 Berra (EX/MT). 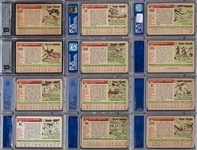 Grades 5% NM to NM/MT, 62% EX to EX/MT, 33% VG to VG/EX (few lesser).